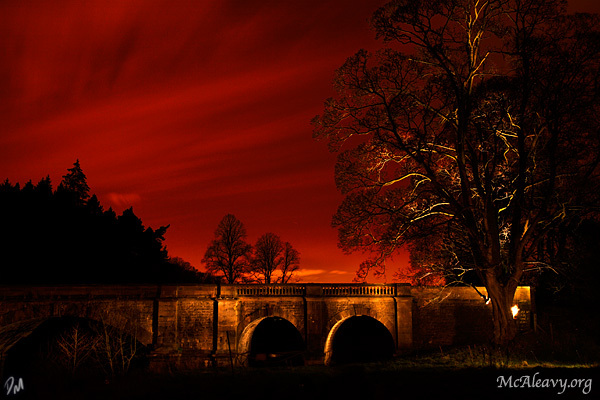 Last Sunday I dug out my big torches and went over to Lanark to do some night shooting with McInnes. I discovered that my DIY radio shutter release can trigger my 5D from further away than I can hear, so I’m going to have to put an LED to the thing so that I can tell that the shutter has really opened. Had great fun running around in the dark, lighting trees and bridges with the 3.5 million candle-power light.